Furuno's NAVpilot is a revolutionary autopilot with a sunlight viewable display designed for a variety of vessels. 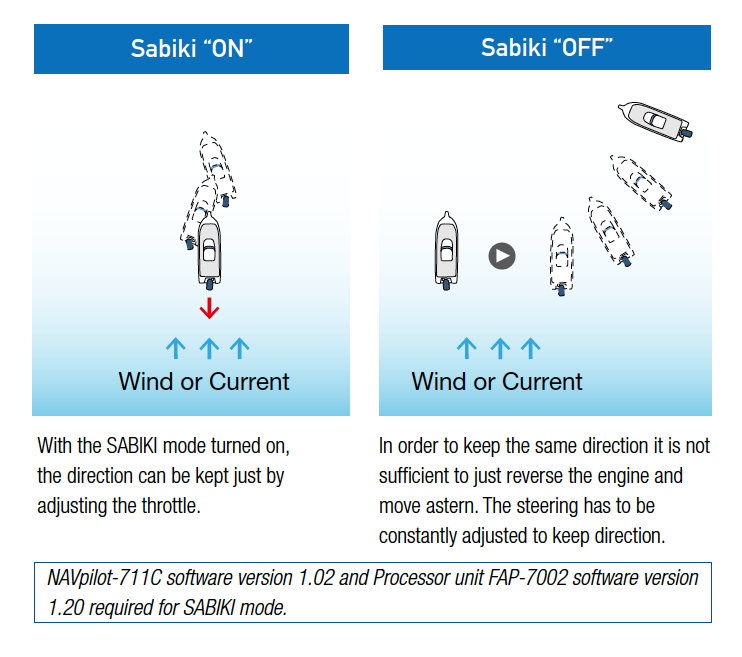 It utilises a self-learning and adaptive software algorithm, and plays the ultimate role in course keeping capability, dynamically adjusting essential parameters for navigation i.e., vessel speed, trim, draught, tide and wind effects, dead band, weather, etc. These parameters are stored in the system memory and continuously optimised.